After my struggles with these, I’m really happy to have finished them in time to give to my husband for his birthday! 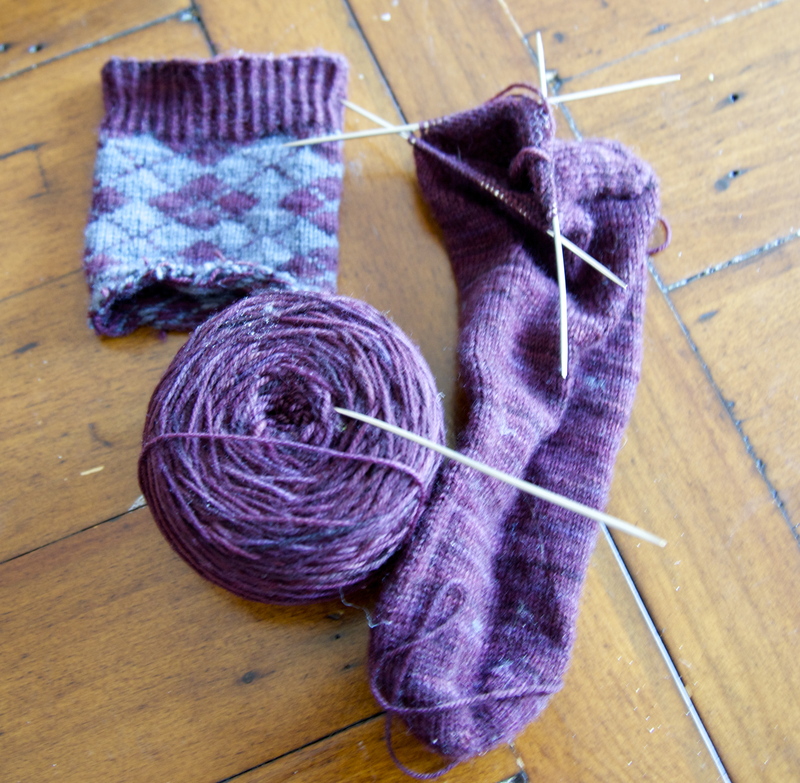 The finished product was well worth the frustration, these are among my favourite handknit socks. Something about this colour combination feels just conservative enough for his job at a bank, without being too boring or expected. 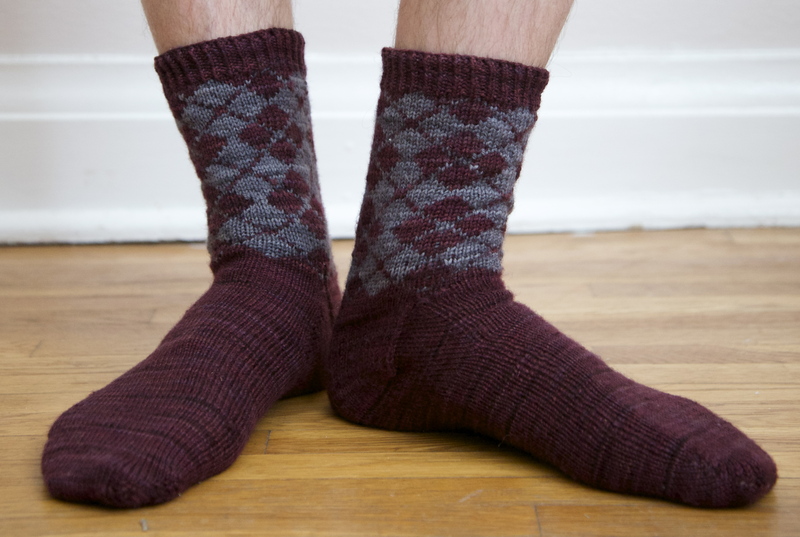 It’s a real struggle to find good sock patterns for men; I bought Wendy Johnson’s Toe Up Socks For Everybody because it included so many great manly socks. 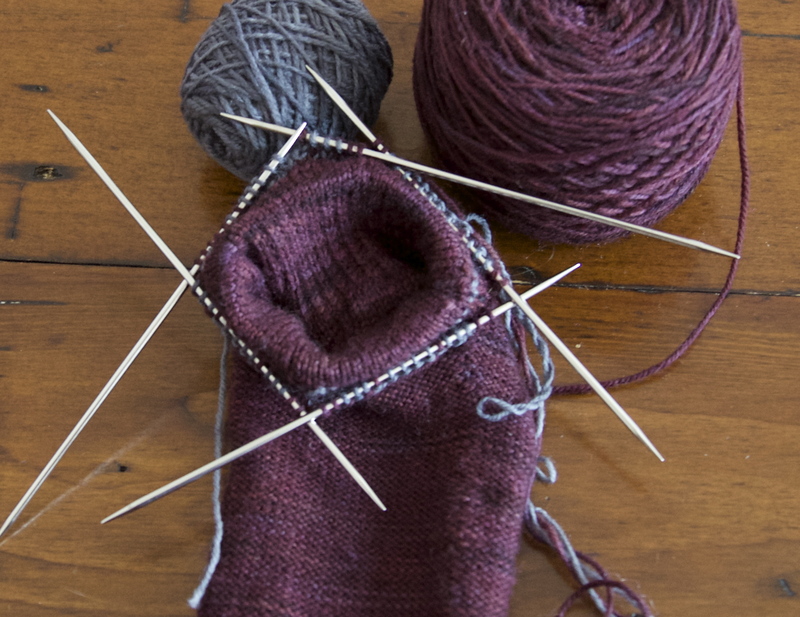 I look forward to trying out some of the other great patterns in this book: I think the Basket Case socks will make another great pair of husband socks, and I’m toying with the idea of some Belle Epoque thighhighs for me. This entry was posted in Knitting, Socks and tagged argyle, Dream in Color, knit, socks, Toe Up Socks for Everybody, toe-up, Wendy Johnson on May 2, 2013 by lisagono. And then I tried it on. The colourwork section didn’t fit over my foot; it wasn’t even close. I tried blocking it over a soup can, but there was no improvement. Of course, we can file this under avoidable mistakes: the floats should have been looser, I should have tried the first few rows of colourwork over my foot, I should have done some research before attempting my first colourwork sock (one of the blogs I follow had a post detailing this exact problem, with this exact pattern). Woulda, coulda, shoulda – didn’t. 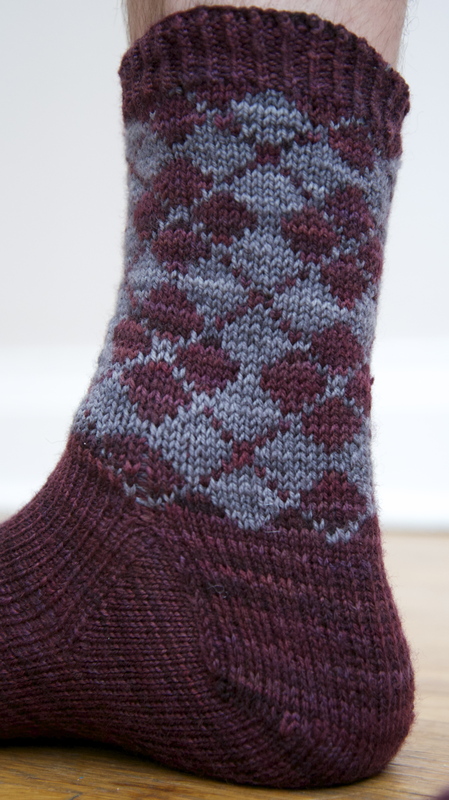 This entry was posted in Knitting, Socks and tagged argyle, blocking, knit, knitting fail, socks, Toe Up Socks for Everybody, toe-up, Wendy Johnson on April 11, 2013 by lisagono.